Add elegance and security to your property with high-quality fence installation services from Phelps Fence Company located in Bel Air, Maryland. Phelps Fence Company provides the best in quality fence installations at affordable rates. Contact us at (888) 411-4831 to find out why so many of our customers praise our work and tell their friends, neighbors, and families about Phelps Fence. The team at Phelps Fence can install almost any type of fence you desire. Just let us know the style and height and we'll build the perfect fence to meet your needs and budget. Not sure what you want? Jeff Phelps will provide a portfollio of styles and materials to choose from. He'll help you to determine the best match to meet your specific needs. Your fence is an extension of your home and should be magazine-worthy if you hire the right guy. Phelps Fence has the right guys on the team. From our wide assortment of wood fences to the durability of aluminum and vinyl fencing, Phelps Fence Company has exactly what you need at a price you can afford. Aluminum and vinyl fences come in a multitude of different styles and limited colors. There is a style and color in our portfollio for you. Wood fences come in many styles and can also be customized to meet your specific style or one you saw in a magazine or somewhere else in your travels. 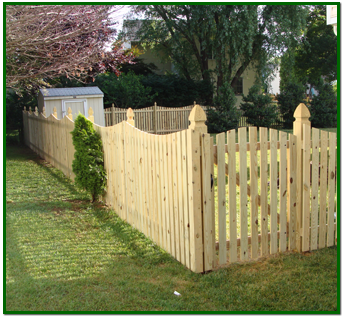 Contact us in Bel Air, Maryland, at (888) 411-4831 for more information about our fence installation services.